The Orthodox church is going to be the main feature of the new military base on the Kotelny island. Photo from (http://severpost.ru/read/14820/). The new military doctrine approved by President Putin on December 26, 2014 is actually not that new; Defense Minister Shoigu opted for limiting his mark to a few minor and symbolic revisions, against many far-reaching statements on the background of the Ukraine conflict. One of the changes that has attracted attention is the inclusion of the Arctic in the text of this tedious document, but in fact, it is mentioned in only a few words (“securing Russia’s nationals interests in the Arctic”) as the last in the long list of tasks of the Armed Forces. This brevity is probably related to the re-evaluation of the “treasure chest” in the High North, as presently even the official media reluctantly confirms that most of energy-related projects in the Arctic are curtailed and postponed. Nevertheless, the intensity of military activities up North remains high, and the main achievement is certainly the three successful tests of the Bulava missile in the autumn 2014, so that three Borei-class submarines are now considered operational, and the keel of the sixth sub (Generalissimus Suvorov) was laid at the Sevmash plant in Severodvinsk in late December, alongside two subs in construction. 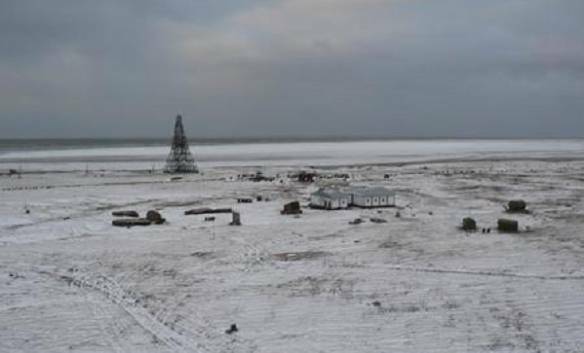 Besides this massive project, many other developments – like the deployment on Novaya Zemlya of a regiment of S-400 surface-to-air missiles or modernization of the MiG-31BM interceptors for deployment in the Arctic – are constantly reported by the media. The top brass are far more eager to speak about the deployments in the Arctic than about Ukraine, but nobody wants to estimate the scale of cuts in the defense expenditures that are coming already in 2015 due to the sharp decline of budget revenues.